At this point you’ve probably heard of e-mail marketing more times than you can count. But what is it exaclty? Why should your company invest time and, if the case, money on it? What is e-mail marketing and you should you invest in it? E-mail marketing is when a company sends out a message to a group of targeted people through e-mail: advertisements, sales, notifications, the list goes on. Relationship speaking, it helps to build loyalty between you and your customers, grow brand recognition and trust. Money speaking, it enriches your business communication and drives more traffic/sales to your website/product. E-mail marketing is also cost-effective, environmentally friendly and allows you to target specific key markets. You no longer have to spend enormous ammounts of money in print space, television, radio or outdoor advertisement. How does it work? 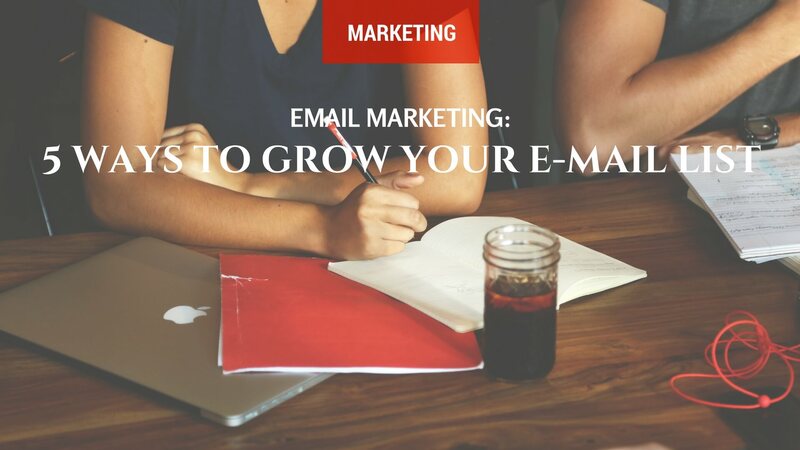 You start out by gathering a few e-mails from current customers and grow your list over time. Everytime you want to send out a message, you can send it to everyone on your list or even do a deeper segmentation and send different e-mails to different groups on your list. Then you create your email(s) to specific targets, providing them a personalized message that they may be interested in. This helps promote trust in your company and people feel like they matter to you. Result: you increase your sales. Make it easy for your readers/customers to subscribe to your e-mail. Not only should the option to subscribe to your e-mail be visible and compelling, you should also place strategic opt-in offers: not only in your blog but generate backlinks to it. Point readers back to your opt-in offer by guest posting on other blogs and websites, or even advertsing on social media. Make your customers want to share with others. Mark Zuckerberg says “ nothing influences people more than a recommendation from a trusted friend”. With that said, encourage your actual e-mail subscribers to forward your e-mail to friends who may also find it useful. Create usefull content for your readers. You can’t just expect people to type in their e-mail address; they need a reason to do so. You have to seduce them! Create an e-book, a PDF, a vídeo, or whatever suits your business, so readers can easily subscribe and get the benefits of a special piece of content. Focus on your promise. Creating a compelling promise will get people on your list, because they will be eager to feed from your content. Try to make it as relevant and personal to your reader as possible, strenghtening your relationship. Gain more subscribers by organizing a contest. Give your readers something to compete for, and in return they have to go to your blog/website and submit their e-mail. This could be done directly on your website, or in any other social platform – Facebook works really well for contests. Use ads. The best way to build your list is organically; however, it’s not the fastest. You can jumpstart your list by buying ads through various social platforms. Use Facebook ads, Linkedin sponsored updates, Twitter ads and AdWords. With Google AdWords you can even grow your list by ten times. All of these cost money, but you’ll get a lot more in revenue by using ads. There isn’t a magic pill when it comes to e-mail marketing and growing your list – or for anything for that matter. But you can take it step by step into growing a solid e-mail list that will guarantee solid customers. We gave you five tips, but there is a whole world of things you can do more, like webinars. Try things out and see what works best for your specific target – remember, it’s a journey and there’s hardly a destination. Remember, in the end it’s about the relationship you build with your readers and customers. Use your e-mail marketing to not only create usefull content but to also make each and every reader important to you – that is what will keep your business alive.